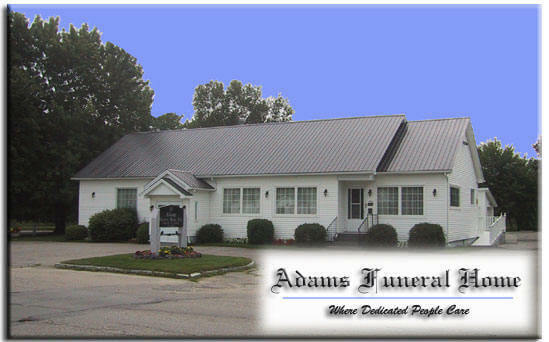 Welcome to Adams Funeral Home Ltd., now serving you online. 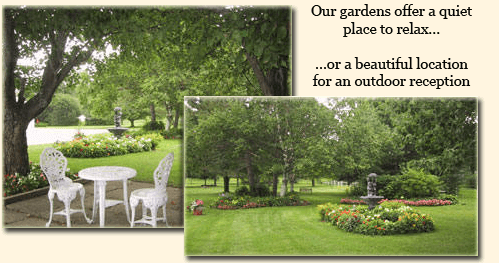 On our website you will be able to view our current and recent obituaries, purchase flowers directly from local florists, have memorial donations placed, and send messages to the families using our guest book. We are also offering information about preplanning, and information about monuments. Our Grief Support page helps you find links to sites offering information on different aspects of grieving.